Some gear comes in and out of our lives casually. It’s different with speakers sometimes. When a speaker gets under your skin, it triggers a more emotional attachment. Some call it “speaker fixation” – the notion that you build your entire system around the speakers you love. And if done right, I think this can be a 100% valid approach: mate the right speakers to the right room, and you’ve nailed the biggest system interaction, or variable. From there, the right amp to drive those speakers, and so on. 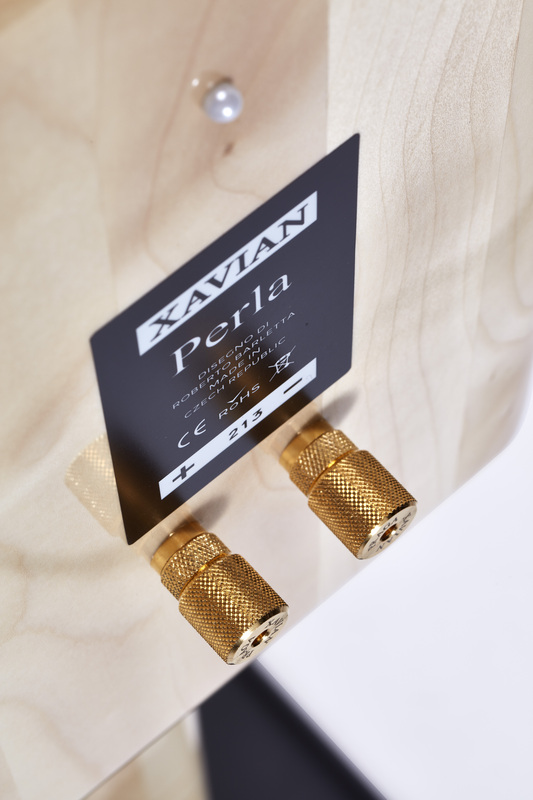 Xavian assured me that my 40-watt push-pull tube amplifier would drive the Perla with no issue. They suggest, for example that customers have found good synergy with the modestly powered (and endlessly popular) Yamaha integrated amps. Not a fancy recommendation – but I know those amps can be quite capable in the right setting. I was really just fishing to make sure these weren’t power hogs, like some of the B&W’s and KEF’s I’ve crossed paths with occasionally over the years. I needn’t have worried – the 8 Ohm taps of my Yaqin MS-20L proved to be a wonderful match. 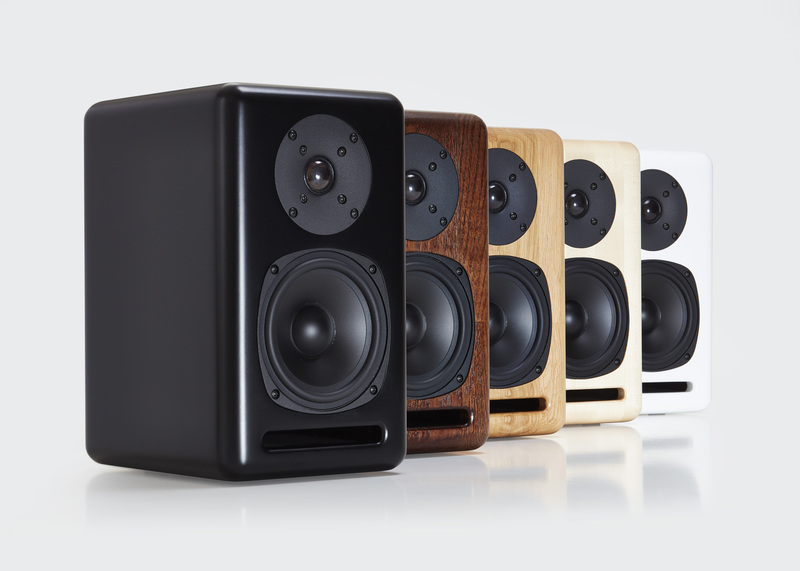 Xavian speakers are built in the Czech Republic, and sold direct via their eshop. Their chief and designer is Roberto Barletta, an Italian who also founded AudioBarletta – the firm in Italy which produces all the transducers used in Xavian’s speakers. Yes, the drivers are made in house, or at least, ‘within the family’. The Perla Esclusiva is part of the company’s Natura series. The emphasis is on natural sound reproduction – these are made for music listening. So, the Perla has been around for a few years, and has racked up some awards, and some very favourable press. But over this past summer, as the pair that I was to receive was being prepared, Xavian decided to upgrade the speaker significantly, and rename it the Perla Esclusiva. It’s not a redesign; the box dimensions and drivers are unchanged. But the box construction has gone from using walnut to aged oak – the wood is cured for three weeks before starting the build – and, like the Perla, using a pattern of laminated sections called Mosaik to create superbly machined, beautifully finished cabinets. Yes, these are built with solid wood: no MDF is used. They’re hefty, and, well, very solid. They feel inert, while Xavian acknowledges that their wood is a contributor to their sound, just as with a musical instrument. The other significant change is a major upgrade in crossover componentry, to premium Mundorf capacitors. Xavian tells me this has improved sonics across the board, including better frequency extension, over the old Perla. Lastly, the Esclusiva sports better binding posts (engraved Xavian Prague), and a nice-if-cosmetic pride of ownership touch – a pearl embedded on the back panel of each speaker. The speakers arrived in an excellent carton, not massively oversized, but well designed with ample foam protection. The quality of the packing materials and even the accessories that I saw upon opening the box let me know that this company is highly professional. You can see this in their photos, and seeing and feeling the speakers for the first time gave the same impression. 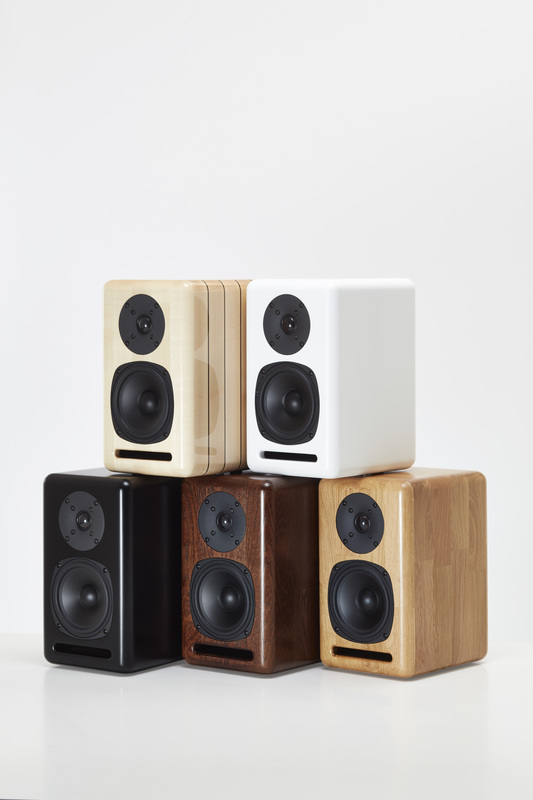 The speakers I received were finished in Dark Oak. How about we get on to some listening then? Oh, my. If you like a speaker that ‘disappears’, you’ve come to the right place. If you want a small speaker that sounds big, open, and coherent, with all kinds of music, this is it. If you crave a dynamic speaker that can also show you the brilliant attributes of horns and planars when called upon (speed, transparency), buckle yourself in. What can I say about the Perlas’ sonic character? In summary, this speaker is engaging, and downright fun. Music pours out of it, with verve, and soul. Imaging is absolutely first rate, and detail retrieval is excellent. I’m almost embarrassed when I think about how much synergy I achieved here. Besides being tiny and sounding big, the really crazy balancing act these speakers manage is that they’re simultaneously refined, and fun. Is it the phase coherence? The well designed crossover, set well above the critical midband range where the ear is so sensitive to anomalies? Is it the quality of the drivers, the cabinet design and construction? It surely must be the combination of everything working together. Jazz is a delight with the Perla. Blue Note classics like Ike Quebec’s Blue & Sentimental were superbly enjoyable. Rythmic jazz like Dave Brubeck was off the charts – whatever the quartet did with time signatures, the Perlas gladly obliged and followed beat for beat. On Waltz For Debby, I can scarcely remember the trio ever sounding better, not just as a whole, but each individual part was clearer and more distinct than I ever recall hearing before. The Perlas shine a light on the performers in a way I’ve seldom heard. The Perla actually demonstrated an uncanny competence with all piano recordings. Piano sounded rich and resonant and woody, like the percussion instrument that it is. Bill Evans’ piano parts with his trio, and on Miles Davis’ Kind Of Blue, sounded clearer and more distinct than I’d heard them in a long time. Nor was it limited to tinkling – I spun Beethoven pounders like Sviatoslav Richter and Zoltan Kocsis to great effect as well. These speakers really portray the piano remarkably well. The Perla’s middle and upper frequency rendering was very coherent, and often sounded magical. I keep wanting to say balanced, and competent. But the Perla is also lively and engaging, like a speaker that doesn’t give a damn. In my space the sound leans a bit to the forward side of neutral, which suits me well. And it does that with not much power. I could imagine that with (some) larger amps, you might want to sit a few feet further back. The Rolling Stones’ Can’t You Hear Me Knocking? The Perla does not need a subwoofer, in my opinion. You heard that right. No sub needed. For me. This little monitor does a pretty convincing full-range presentation. The bass here is very good – tight, fast, and plentiful. I’m not saying you couldn’t pair them with a sub. But if that’s your mindset, you’re probably not even reading this review. Seat of the pants meter? I ran some test tone bass samples informally into the Perlas, and the 90Hz, 80Hz, 70Hz, 60Hz, and 50Hz tones all sounded equally strong (very slightly down at 50Hz). I thought I heard a very slight rise at 90Hz, but it may have been my imagination. These speakers aren’t “jacked” like so many monitors. Now the 40Hz tone was down several dB (at least 6-8dB), but still sounded impressive. 30Hz was way down, maybe 12-15dB or even more, but still quite audible. This little speaker can move some air. The Perla’s response is spec’d to 53Hz at -3dB. That’s fairly deep bass, and indeed, 50Hz comes across very well through the Perla. If there’s stuff below that, you will at least get a nice taste of it. Amazing. Given the modest cabinet size and 15cm driver, Xavian really knows how to pull the most from them. To validate this, I played an old chestnut of sorts, Psalms Of Consolation And Hope, a 1978 Argo LP of choral music, accompanied only by John Scott on the pipe organ. This recording has plenty of bottom octave information; notes, chords and overtones. It’s not overblown, but you hear plenty in this 31-62Hz range. The Perla delivered this performance quite nicely. Certainly not the best I’ve ever heard, but it was in no way embarrassed. Of course, if you really want to rattle walls, get a sub, a THX receiver and a big pair of Polks. With my tube amp and a pair of Perlas in my room, I got very satisfying bass. The Perla Esclusiva is priced at 1,990 Euros, inclusive of VAT (they’re 1645 Euros without VAT, if you can manage to swing that). This is not a small amount of money, but when compared against natural competitors like Harbeth, Reference 3A, B&W, KEF, etc., I think Xavian is pricing aggressively. There is nothing cheap about this speaker or the way it is built. Selling direct to the public offers a competitive advantage; the downside is that auditioning the speakers will be a challenge. I had wanted to try other amplifiers with the Perlas, but fate conspired against me. I did briefly use an 80wpc Pioneer AVR (VSX-1020), but this 7.1-channel receiver is apparently not configured to run full range as a 2-channel amp, even in Direct mode. It sounded good but something was obviously missing, especially down low. I wouldn’t normally refer the reader to another website’s review, but Christiaan Punter has just completed his review of the Perla Esclusiva over at hifi-choice.com, and his observations so closely reflect my own that, if you want to discover more on amplifier synergy, I’d recommend reading his experiences. He used both tube and solid state amps, and I think his observations are very well placed. This has been a somewhat difficult review to write – only because my enthusiasm for the Perla Esclusiva is such that, I feel like some of what I say about it will sound “over the top”. A reviewer’s job is to be objective and unbiased. But we’re human, and sometimes our references or expectations are so thoroughly flattened by what we’re trying to review, that we have to step back and do a reset. I’d estimate that over the last 40 years, I’ve owned, lived with, borrowed/reviewed around 150 different speaker systems. Some stayed for weeks, some for years. This number includes a few speakers that belonged to parents and roommates, and a few close friends whose rooms I was very familiar with. But mostly they resided with me, and my music. Speakers that I’ve spent some quality time with. They’ve ranged from dynamic to hybrid, horns of various descriptions, coaxials, full range (widebanders), open baffles, planar magnetics (a bunch), and a couple of electrostatics. Obviously, there are thousands more that I’m not intimately familiar with; but I do know what ‘decent’, ‘pretty good’, ‘great’, and superb sounds like. And I have a good handle on what compromise looks and sounds like, in a domestic setting. Xavian’s Perla Esclusiva isn’t the single best speaker I’ve ever heard. But in my current room, with my relatively modest gear, and my music, they are downright scary good. These speakers defied my notions of how a very small monitor should perform. You could fit these things on a large desktop, but they badly want you to sit ten feet back so they can perform for you. They want you to put on your best music, and put the rest of your life on hold while you do. I did plenty of that…and the Perlas made me smile every time I listened. 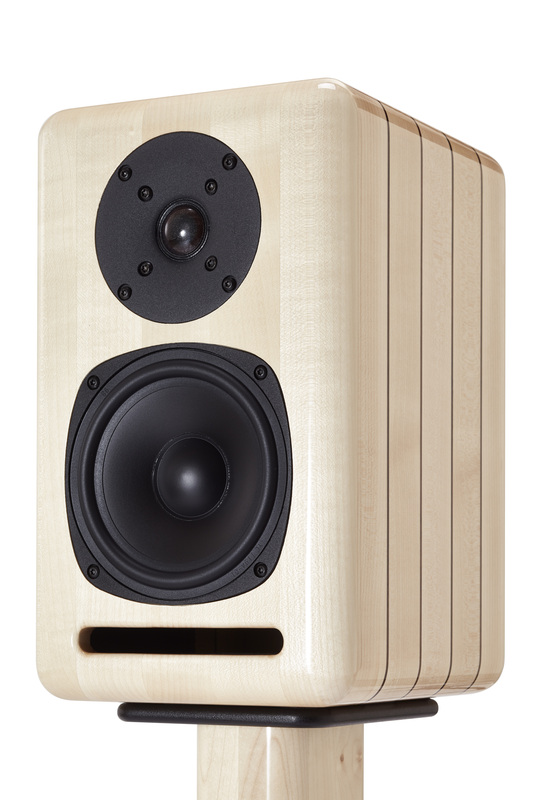 So I’ll say it this way: if, like me, you find yourself with a decent 40-50 watt amp, and – as I suspect many of us do – a room with somewhere around 1200-1500 cubic feet of space, and an open mind, the Xavian Perla is a speaker most worthy of your consideration. It fits well in modest/average rooms, it looks great (my wife adores the Perla), it sounds outstanding, and by any measure, it represents an enormous value. I’m happy to award the Perla Esclusiva our Gold Star, and very enthusiastically recommend it. Hey Noam: Quite a nice review. It would’ve been helpful to offer up pricing in the writer/reviewers country -or better yet in CA, US$ (and perhaps UK Pound, Australian Dollars. In any case, I suspect $2K Euro approximates $3K CA$ ? Fairly pricey. I would have gleaned more (as you I suspect) if the loudspeakers was more thoroughly described/investigated; drive-units chosen, cabinet/ box construction details, driver-fastening techniques, x-over type etc. And, how it compares to competitor’s in its price range. That this loudspeaker made a positive impression upon you/reviewer is wonderful; examining further ‘why this was so’ would have been most welcome. Since you can only buy them direct from Xavian, payable in Euros, I didn’t bother with trying to convert EUR to USD, CAD, AUD etc. Everyone will have their own shipping to deal with also. I provided the details that were available to me, short of tearing the speaker apart and trying to uncover things that manufacturers tend to keep confidential. Hi Noam: Understood. However, one risks losing the reader should they decide “heck,how much is that in ‘our’ dollars” and leave the page/ review to find out. But that aside, at $3k (by no means high-priced -these days anyway) for a compact stand-mount, I suspect readers/ prospective purchasers should be informed by the reviewer of build/construction ‘details’ otherwise not available to the reader. Why else report/review a product if nothing other than a manufacturer’s ‘pitch’ is offered ? Although your (or my) subjective impressions may hold some weight, experienced listener’s/audiophiles realize all-to-well that a simple (and singular) cable change (or similar) often results in profound SQ distinctions that have nothing to do with the product under review. So what’s left? A more thorough investigation into a product, answering some very basic questions (with respect to loudspeakers) including cabinet-enclosure ‘spec’s, driver type (make/model), x-over choice, etc. An interesting (and most welcome) feature of this loudspeaker is its “Bolt-in” speaker/stand feature. It is both desirable and worthy of further discussion, since very few competitor’s offer this unique, rugged and secure design element. 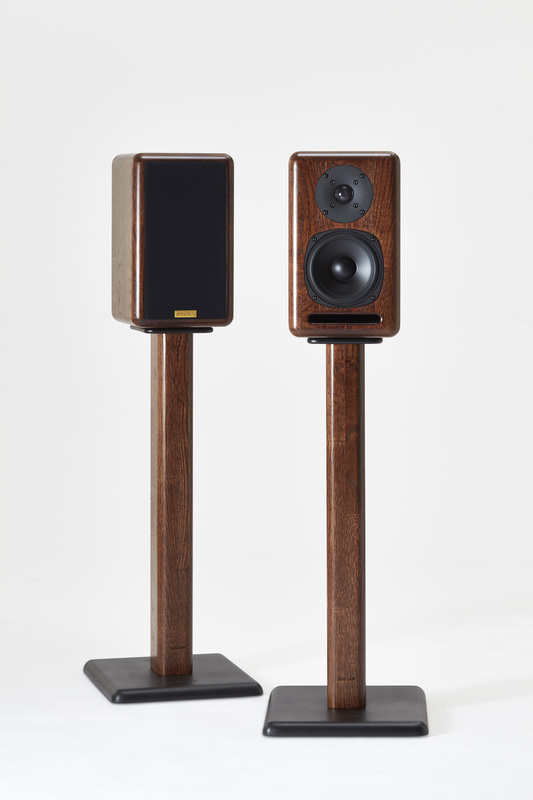 I visited the Xavian website only to discover that not even basic loudspeaker model specifications were available -let alone insightful design considerations. Thanks, I tried to provide as much insight as possible in the review. It seems to be a very well designed speaker. There are many things that go into that, which I listed as best I could. The synergy with my room and my tube amp were undeniable. Since this speaker is not easy for most people to audition, I wanted to go into more detail describing its sound. We do design and manufacture our own driver units under brand AudioBarletta (made in Italy), cabinets are made from italian selected solid oak and inside we have a lot of different damping material. Our slot bass reflex is quite big to make the air flow quiet and fast. We use serial crossover to achieve as good phase and time alignment as possible and we use top grade Mundorf capacitors. As almost everything is designed and built “in house” (except those capacitors or coils), we do not need to care how to fit “stock” products and compensate their behaviour. That´s where the harmony comes from :). Just to add one more thing: if you visit our website and the model profile (link https://www.xavian.cz/product/perla-esclusiva/?lang=en), complete specs are available below photos under “Additional information” – might not be so obvious and we´re sorry for that :). Thanks for the comments Daniel. I was wondering, does the slot design reflect any characteristics of a transmission line? Or is it purely bass reflex. I know there’s sometimes a very fine line between the two. I ask because the Perla to me does not sound like a BR box. The bass is very tight and well controlled,and the speaker is “fast”. Also, on the surface, the slot design looks similar to the JMR Duet/Bliss, which is a t-line. The bass reflex is just a bass reflex, no transmission line behaviour – not intentional, nor unitnentional. The slot reflex behaves the best if you can´t use expensive solutions for classic rounded ones. The benefits you talk about is coming just from the shape and rigidity.